App will be available in Google Play within 48 hours. Now you can download apk installation file. 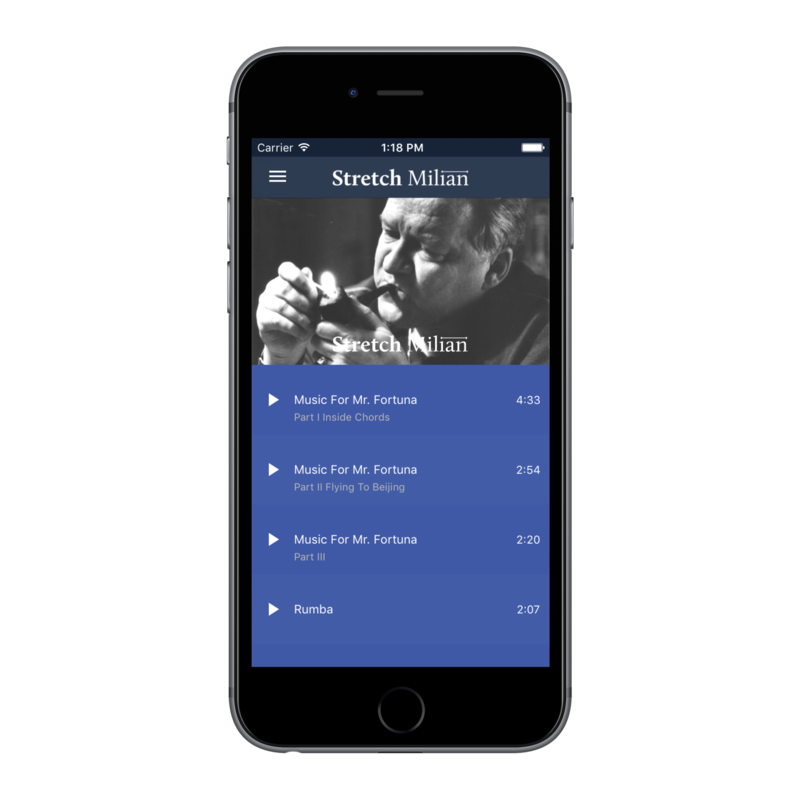 Music For Mr. Fortuna album has been released in a free mobile app “Stretch Milian”, available for Android and iOS. It is available on the App Store and Google Play. 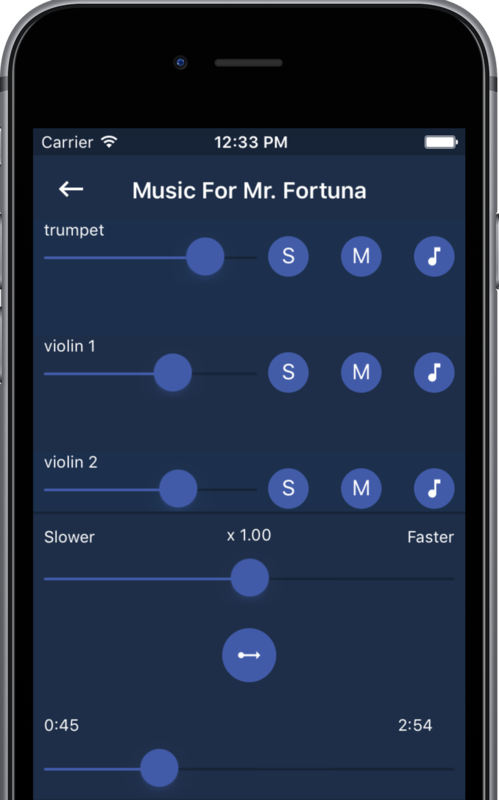 The app allows to control the sound material of the album, by determining the volume of each instrument, adjusting the tempo of the played songs, and looping selected fragments. The app includes notes for each instrument, to make it pleasurable for everyone willing to play with us. Jerzy Milian was born on April 10th 1935 in Poznań. He started as a pianist, but for many years now his main instrument is a vibraphone, on which he began to play in Krzysztof Komeda’s sextet. Since the end of the 50s he also constantly acts as a composer – creating both short hit songs, as well as complex, avant-garde forms. He has graduated from the State Secondary Music School in Poznań with a major in piano. The beginnings of Jerzy Milian’s stage career reach as far back as the early 50s. Already in 1954, as a 19-year- old, he has lead a jazz band at the Engineering School. As a pianist, he got to know the jazz jet set of Poznań of that time. In the years 1954-1955 he has lead his own quintet, along with the guitar player Stanisław Chwiłkowski, double bass player Ryszard Czaplicki, clarinetist Jerzy Piątek and drummer Stanisław Lisek. Jerzy Milian in his memories, admits that he began to play the vibraphone inspired by Krzysztof Komeda: I don’t remember how was it that I met Komeda, but I’ll never forget our walk down Głogowska street. We were then on our way to the “Magnolia” restaurant, where a band played and the band included a vibraphone. Before that, Krzysztof fueled me with information about that instrument, about the Modern Jazz Quartet, he talked about Lionel Hampton and Milt Jackson. Komeda had connections among the musicians from “Magnolia”, so he went on to the stage and began to play something. It was then that I timidly grabbed the mallets and started to hit the vibraphone bars. And it began to play! Milian got fascinated with the vibraphone, he left the piano and began intense trainings with the new instrument. Professor Nowakowski gave him a few tips. And then he learned to play the vibraphone on his own. Milian became a member of Komeda’s sextet, with which he performed during the legendary jazz festivals in Sopot in the years 1956 and 1957. Playing with Komeda lasted until 1958. Then in 1959 and 1960, he has performed with Jan Ptaszyn Wróblewski’s quintet. For four years (1966-69) he has lead his own trio, which included the drummer Grzegorz Gierałkowski and the double bass player Jacek Bednarek. Jerzy Milian’s bands recorded regularly for the purposes of the Polish Radio in Poznań. During that time, a few hundred songs were created by Jerzy Milian. The archives of Radio Merkury, the Regional Broadcasting Station of the Polish Radio, still include more than a hundred tapes of recordings by Milian’s bands, as well as recordings of other bands performing Milian’s songs. The musician has worked back then with other radio bands – inter alia Studio Jazzowe, Orkiestra Taneczna Radia i Telewizji, and the Poznańska Piętnastka Radiowa. Outside of Poland, Milian’s compositions and his vibraphone may have been heard during the performances of the orchestras of Gustav Brom (Czechoslovakia), Günter Gollasch (NRD) and the BRT lead by Etienne Verschueren (Belgium). At the same time, Milian developed his composing skills. Bogusław Schaeffer, Felicjan Dąbrowski, and Wolfram Heicking had helped him in studying composition. The latter conducted lectures at the Hochschule für Musik in Berlin, from which Milian graduated in 1973. Since 1973, for 17 years Jerzy Milian had conducted the Orkiestra Rozrywkowa PRiTV in Katowice, performing with it during various concerts, festivals, and recording for the purposes of the national archive. After disbanding the orchestra in 1991 he has executed a few new projects (inter alia, the recorded solo album “Milianalia”). Never before published materials from the composer’s archive also started to be released. Artists from the entire Europe, such as the production collective from Berlin – Jazznova, began to reach out for the composer’s works. GAD Records created the largest collection of album renewals and those presenting never before released works by Milian. Apart from music, one of the composer’s passions is painting which he has studied in the 50s at the State Higher School of Visual Arts under the guidance of professor Eustachy Wasilkowski. He paints mainly icons, which he has presented during a number of original expositions. He has also been a lecturer at the State Higher Music School, currently the Ignacy Jan Paderewski Academy of Music in Poznań. Awarded with the Knight’s Cross (1980), the Order of Polonia Restituta (1986), the Pro Sinfonika medal (1995), and the Commander’s Cross of Polonia Restituta (2004).